Sunglasses mean one thing… summer! 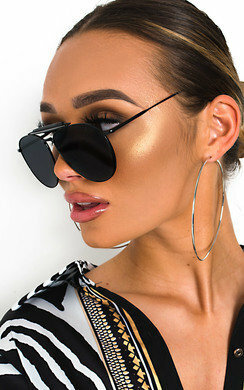 Here at IKRUSH we bring to you the latest most on trend styles of the season, whether this is cat eye, aviator, round, or even heart shaped - we stock the lot and make sure your eyes are looking super on trend alongside your outfit. Not only do we have such amazing styles, they are such an affordable price too! Here at IKRUSH, we believe you should have a few different styles of sunglasses depending on your outfit and of course your mood. 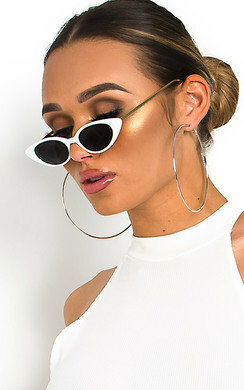 Some cat eye glasses are perfect if you are wanting to look super chic with a pair of mom jeans , crop top and some sliders. On the other hand, we will always be a fan of the oversized round glasses for that celebrity inspired look to pair with any cute outfit. 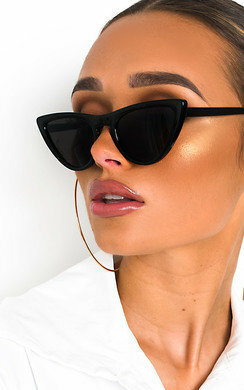 So get browsing our super range of sunglasses now and stock up on your fave styles before those all important summer months!